There are quite a few things that you might want to take into account after you buy your new home or if you want to refresh your current. With this in mind, paint removal is one of the most important processes that you’d have to deal with in order to prepare the walls for a new, fresh finish. There are quite a lot of different methods as well as materials that could be suitable for your home or office restoration project and a professional team could bring a tremendous amount of value. This is a difficult as well as a labor-intensive issue which needs to be tackled accordingly. With this in mind, let’s have a look at a few questions that a lot of our clients are commonly struggling with. While it’s true that this is a task that you might be able to handle on your own, relying on our professional services is going to ensure that the task is handled quickly and with the highest quality. Since this could be a particularly time-consuming as well as dangerous endeavor, hiring a professional to handle it will ensure your safety and the overall quality of the job. We can get tackle the issue in a timely manner and stop working on the more important part – applying the new finish. Now, there are quite a few advantages that you might be interested in when it comes to paint removal. The truth is that thorough and proper preparation is absolutely crucial for a great paint job, regardless of the surface. 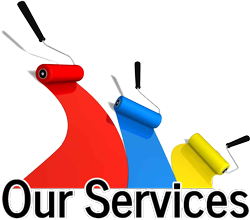 An experienced paint removal specialist is going to take advantage of contemporary and high-performance tools and materials in order to remove the current paint in an attempt to deliver the most paintable surface, so to speak. Furthermore, we are also going to protect the surroundings in order to keep them clean and we are going to tidy up right after we finish. Our intention is for you to barely notice our presence so that we cause the least impositions possible. What’s the size I need to get the paint removed from? This is a question which is absolutely individual. The size which needs to get the paint removed from is going to be determined by the area that you want to paint. Of course, we can cover a wider area but it doesn’t really make any sense. The idea is to ensure that we’ve provided a uniform surface in order to ensure that the following paint job is carried out flawlessly. As you can see, there are quite a few things that you might want to take into account when it comes to paint removal. This is a service which is best carried out by a professional. We have all the necessary tools and materials to get it done abiding by the highest industry standards. So, just give us a quick call and we will provide you with an actionable quote.